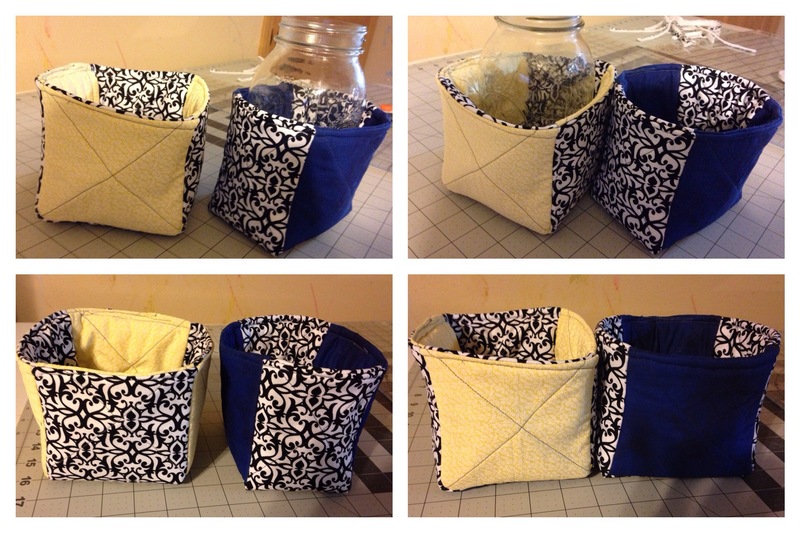 The bowl potholder a were such a hit, my sister asked if I could make one that fits a mason jar. I thought a box shape would fit best. 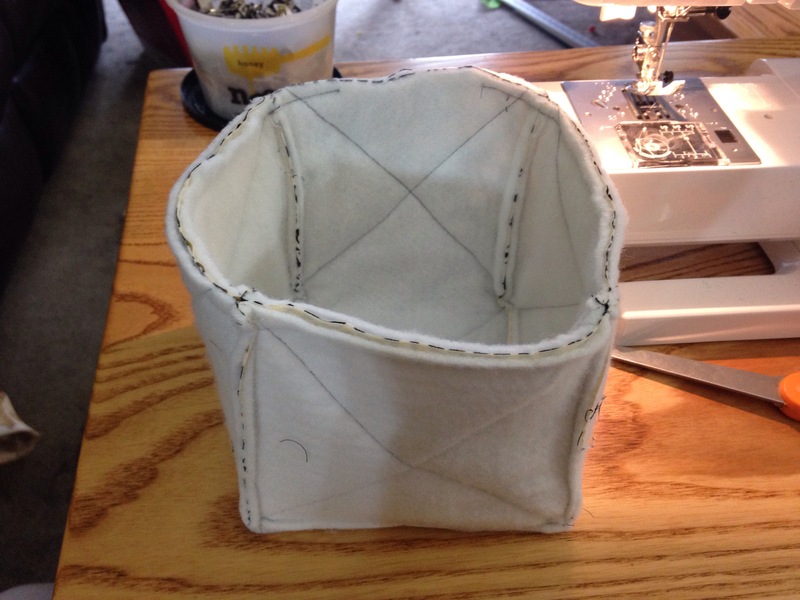 I wasn’t sure about the size, I measured the diameter of the jar and decided to start with a 5x5x5 cube. After it was finished I decided a little smaller would fit better. 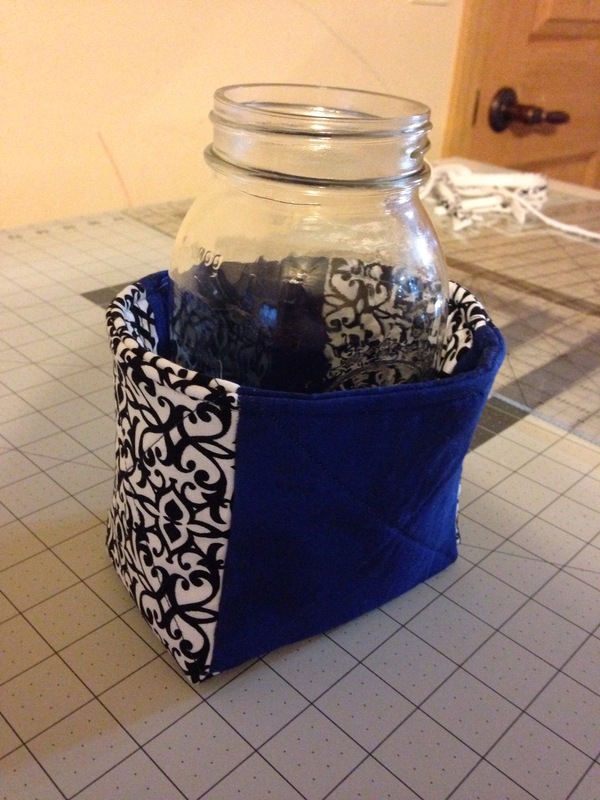 Note: use 100% cotton fabric, batting, and thread so you can use it in the microwave. 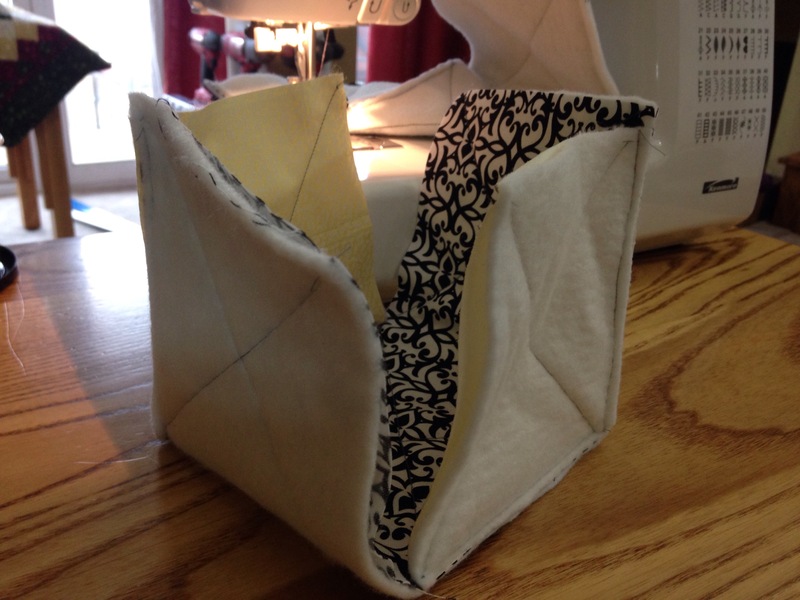 Take the 5×5 fabric and place on 5×5 batting. 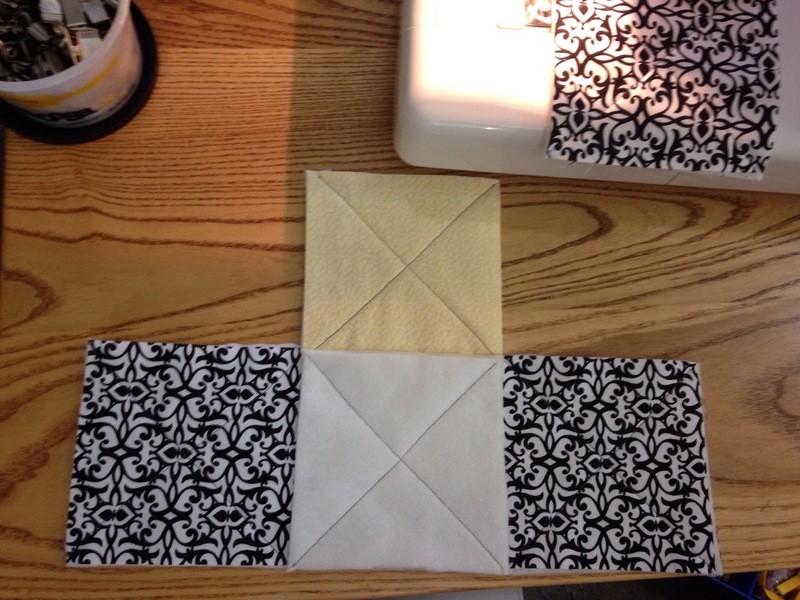 Sew from corner to corner to make an x. Repeat with the remaining 3 pieces. 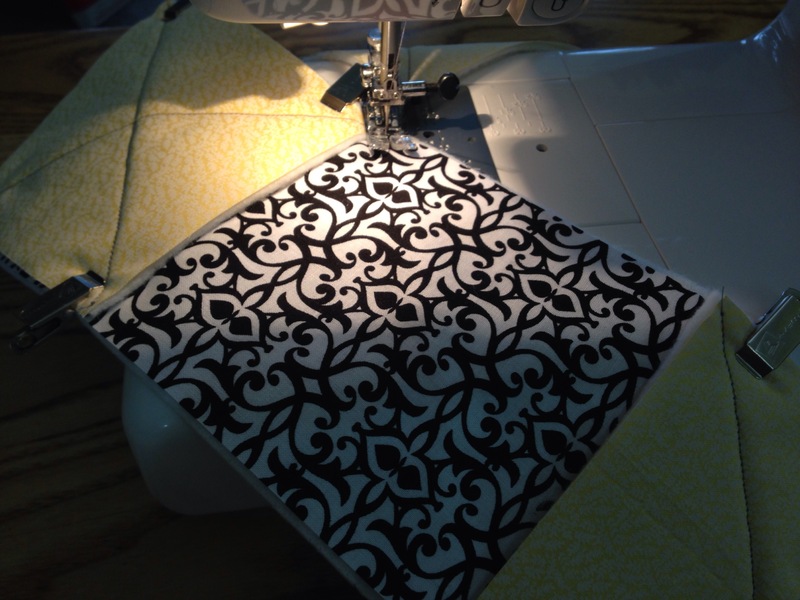 Take one of the rectangle fabric and place it on one rectangle batting. 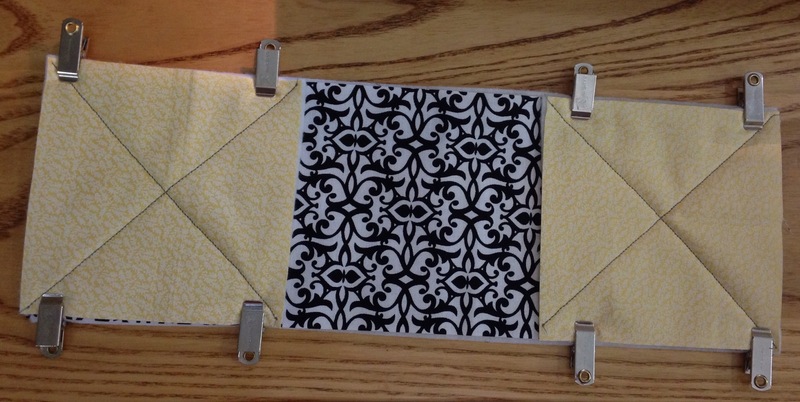 Than take two of the 5×5 pieces and pin or clip to the ends. 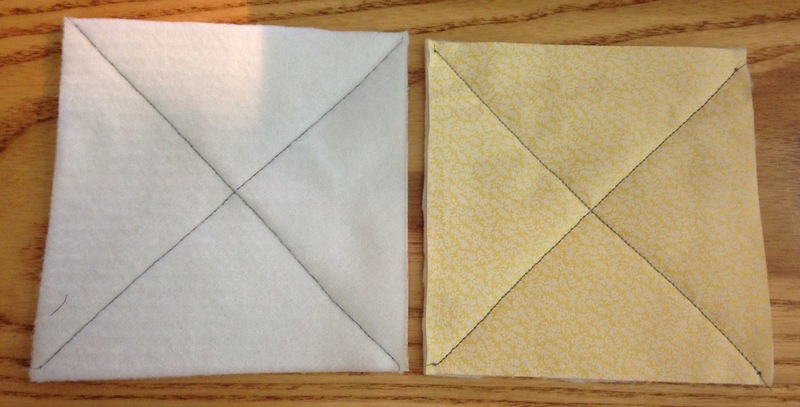 Sew an x in the middle section, unclip/ump in the two sides and see an x in both sides. Do this for the other rectangle pieces. 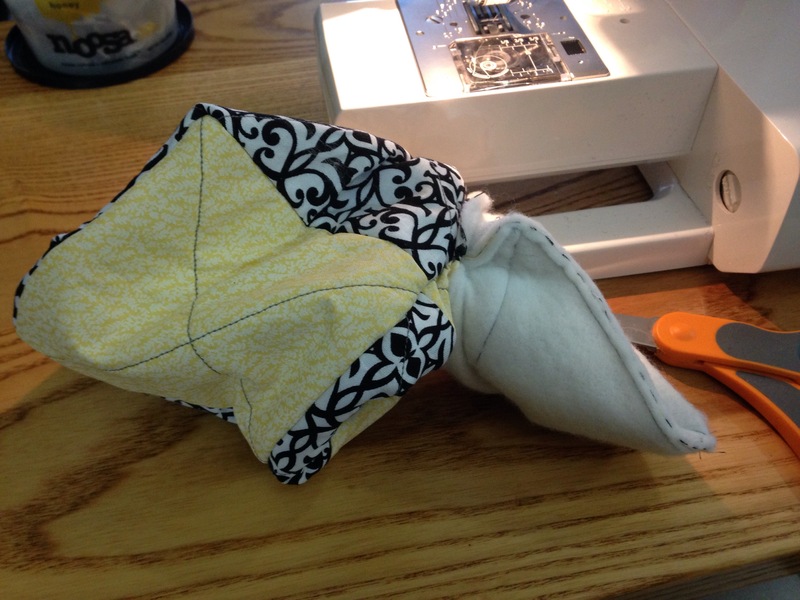 Place one of the 5×5 pieces in the middle and sew along the edge. 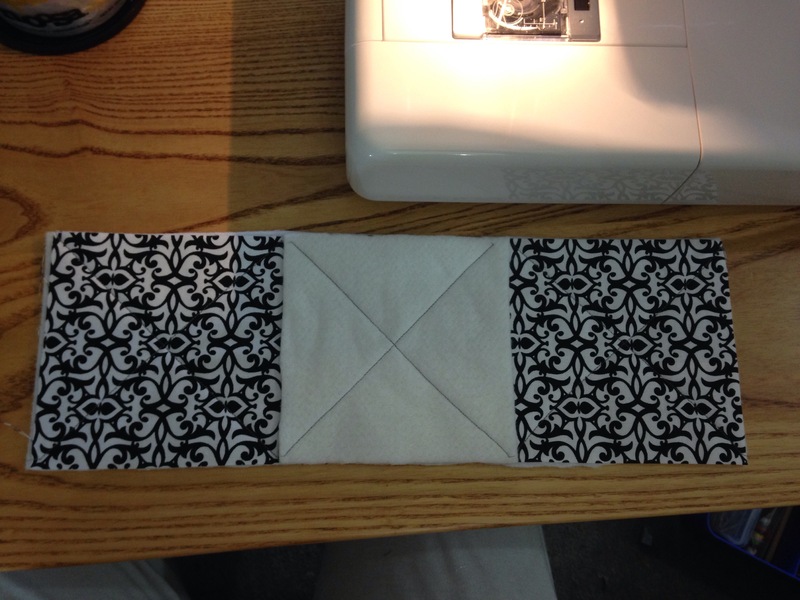 Repeat on the opposite side and other pieces. Fold poopsite sides together, it’s hard to explain so here is my thousand words summed up in the below pitcher. Repeat with the other piece. Sew on the two outer sides. 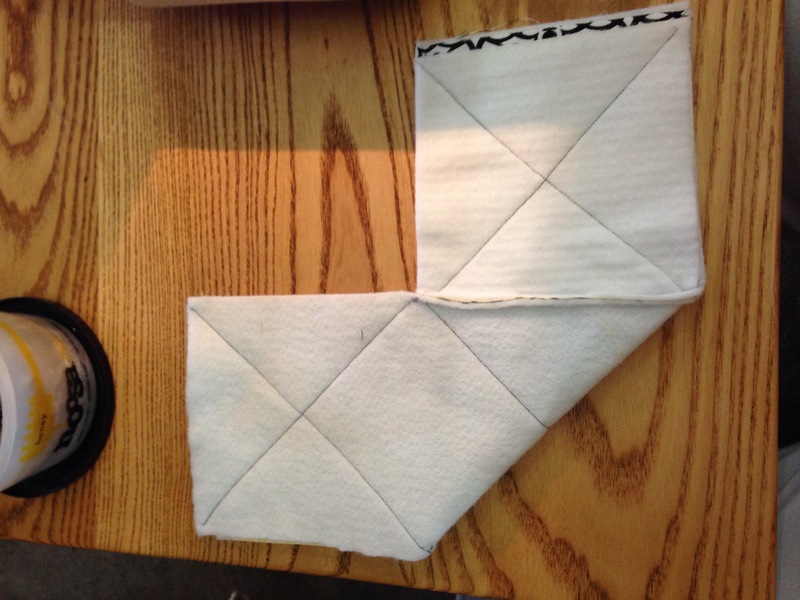 Fold in the opposite direction and sew the last two sides of the cube together. Take one piece and turn it right side out, than place it inside the other piece. Sew around the edge leaving an opening to flip right side out. 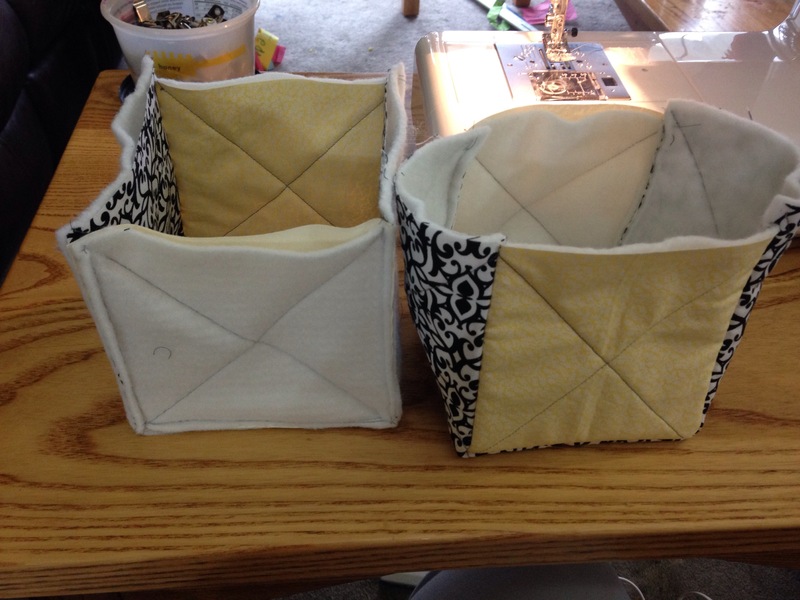 Iron the top of the box and sew around the edge and your done!